Naust Marine has secured a contract to supply Autotrawl (Autotow) Winch Control to four Sakhalin trawlers—a first for BATM-class trawlers of the Russian Far East. 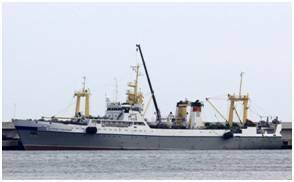 JSC Pilenga, a trawler-vessel operator based on Sakhalin Island in the Russian Far East, has awarded Naust Marine a contract to install Naust’s ATW (Automated Trawl Winch) autotrawl systems aboard three BATM-class supertrawlers—and on a single Moonzund-class trawler, the F/V Vasilii Kalenov. 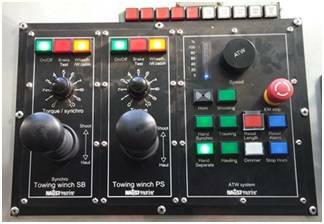 Naust’s DC-based package is tailored for work with existing electric systems on board. At the request of Pilenga, Naust delivered a fuel-efficiencies study indicating that, over the course of just over three years, the autotrawl system aboard the BATM-class trawler pays for itself in kW efficiencies that translate to fuel savings, to say nothing of immediate savings in removal of maintenance costs for old systems, along with dramatic improvement in catchability owing to stepless, automated control of the trawl winches. Naust technicians have arrived in Pusan, South Korea, and startup for the first two vessels will begin soon.